A prominent communications expert has alleged that Bell Media's senior leadership pressured CTV and other news outlets owned by the company into providing favourable coverage of wireless prices in Canada. Carleton University professor Dwayne Winseck says he has obtained internal emails indicating Bell Media President Kevin Crull asked for coverage on the CRTC's annual Wall Communications Report. That report this year stated that wireless prices had come down five to 13 per cent over the previous year. The Wall report was contentious in part because it contradicted some other research, including a J.D. Power & Associates report that stated wireless prices had risen by 13 per cent in the past year. Bell Media is owned by BCE Inc., which also owns Bell Mobility, one of the country's three dominant wireless carriers. "This form of editorial interference by corporate interests raises serious questions about the independence of one of Canada's largest news organizations," tech law expert Michael Geist blogged on Wednesday. But Bell Media suggested there was nothing untoward in the email exchanges. 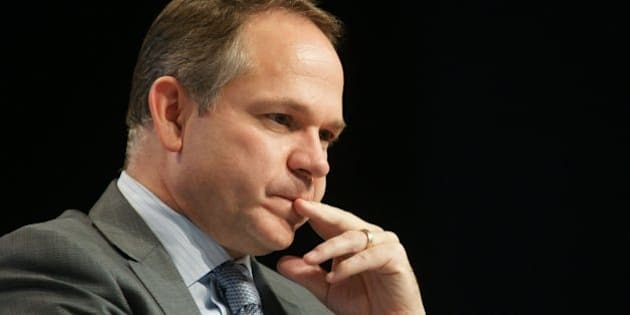 Spokesperson Scott Henderson said in an email to the Huffington Post that as president of Bell Media, "Kevin Crull communicates to his Senior Leadership Team items of interest to the business." "Kevin Crull’s e-mail with the Wall Report attached did not request coverage by Bell Media news properties," Henderson said. But Winseck's alleged internal emails, attached in his blog post, include one titled "FW: Wall Report 2013" from Chris Gordon, president of Bell Media Radio and Local TV, saying: "Kevin is asking if this report can get some coverage today on Talk Radio. National news is covering for TV." The only email in Winseck's blog post that is allegedly sent from Kevin Crull lists definitions and statistics on Canadian wireless prices from the Wall report. Bell, Rogers and Telus are in a battle against the government's policies on foreign entrants into Canada's wireless sector. The Big Three have launched a campaign, as well as advertisements, against Ottawa's regulatory "loopholes," which could grant U.S. giants like Verizon increased access to wireless spectrum, as new entrants in Canada's market. "The emails begin by setting out a couple of definitional issues and then distill the two key talking points to be covered: (1) that cellphone rates in Canada have fallen in recent years and (2) that they are generally cheaper than in the U.S.," Winseck writes. According to Winseck, several executives of BCE's outlets are named in the emails, including CTV News President Wendy Freeman.